Girl look fiyah in this striped midi dress. 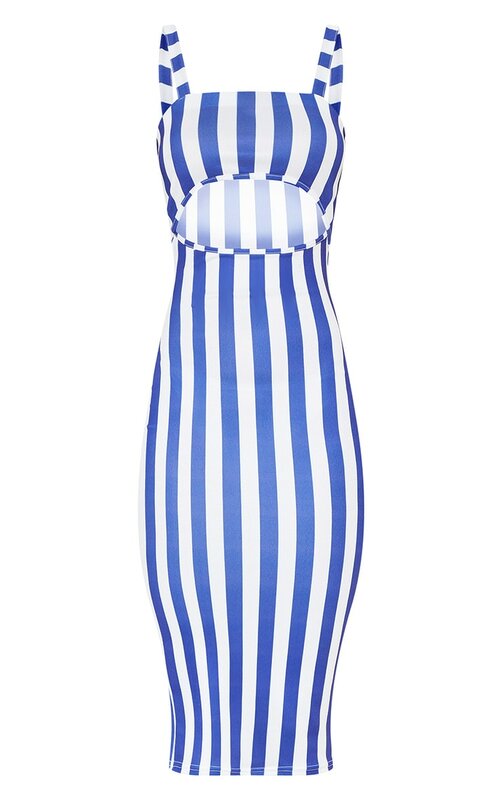 Featuring a blue and white striped design material with a cut-out detail and a figure-hugging fit. Style this dress with barely-there heels and a pendant necklace.